i like chicken. i can’t help it. but it can get boring. i’m trying my best to not make the same kind of chicken dish within the same week. 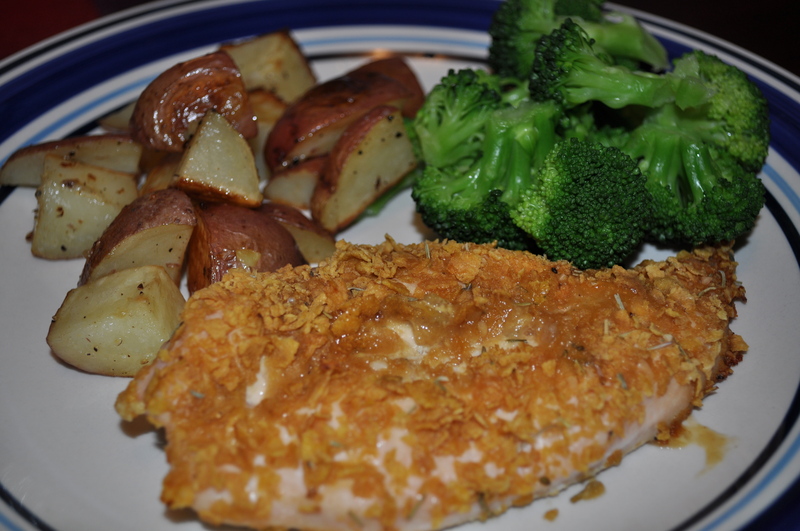 so this time it’s baked “fried” chicken. has the crunch with out the oil and fat dripping from your fork. yuck. 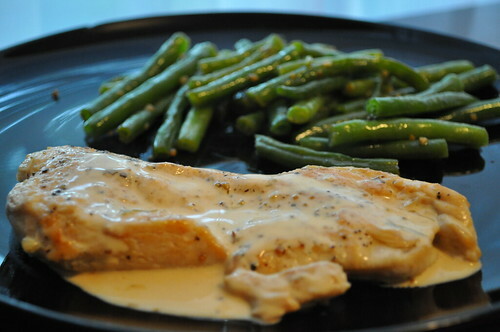 *i substituted dijon mustard for the light butter spray as the recipe called for. i like dijon and tangy taste, so why not! crush cornflakes and mix in salt, pepper and additional seasonings. set aside. 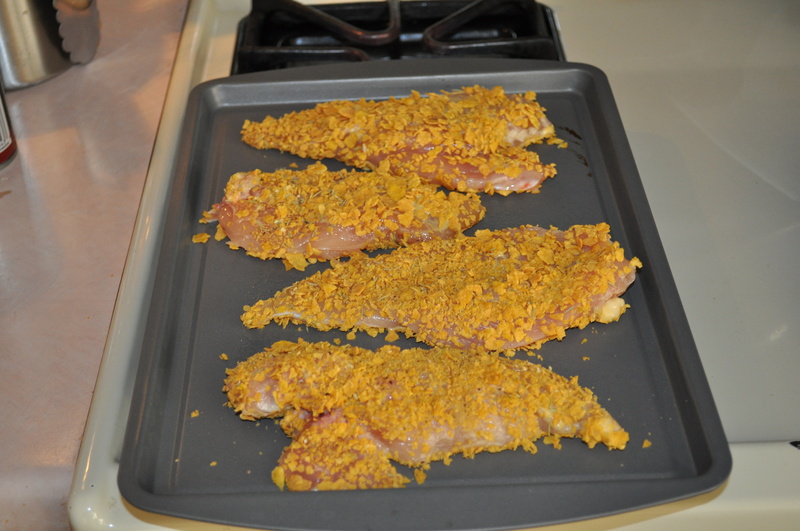 lightly “paint” the chicken with the dijon mustard and dip the breasts in the corn flake mixture. place on a baking sheet and bake for about 40 minutes. i steamed some broccoli and roasted a few red potatoes (extra virgin olive oil, salt, pepper and roasted @ 350 for 30 minutes or until fork tender!) to go along with this dish. yum! simple – especially for a wednesday.